Black Cap is a small mountain near the village of North Conway, New Hampshire, which has a great view to the west and north. I was on the peak to shoot the peak color in the Mount Washington Valley, when the drab sky caught the last bit of sunlight which came clear on the horizon. 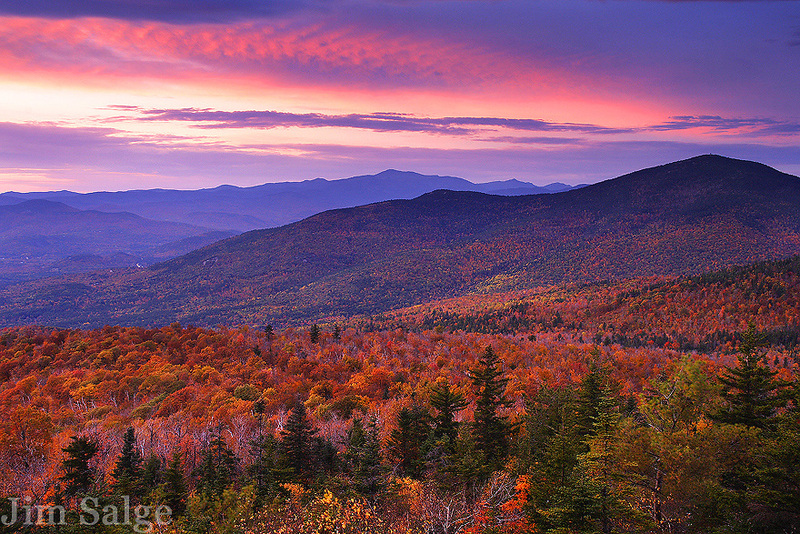 Mount Washington, New England's highest peak is centered in the frame, with Mount Kearsarge to the right.